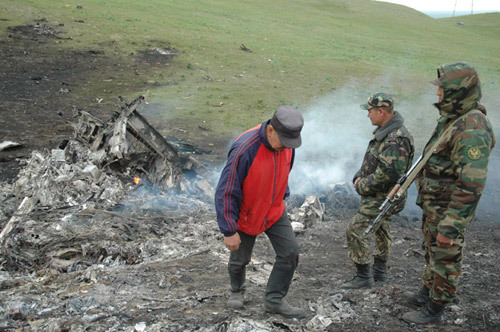 AKIPRESS.COM - The AKIpress news agency has prepared a timeline of the biggest plane crashes and accidents in Kyrgyzstan since 2000. 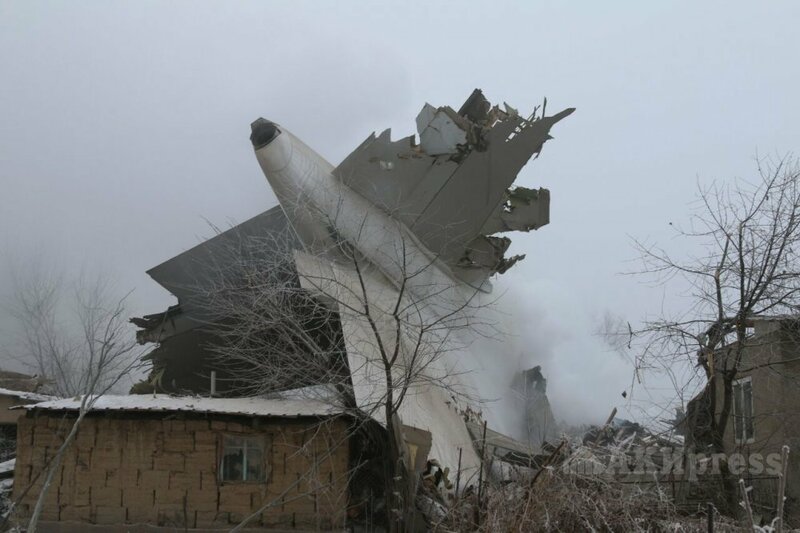 The ACT Airline's Boeing-747 cargo plane wet leased by the Turkish Airlines crashed on January 16 at 07:31 am Bishkek time into the Dachi-SU village, Sokuluk district, Chui region. The plane crashed into homes. Around 20 houses were destroyed, 38 people were killed, including 4 crew members. The airplane of the Avia Traffic en route from Russia's Krasnoyarsk to Osh could not land in Osh due to weather conditions in early hours (4.48 am local time) and landed at 5.20 am in Bishkek. After improvement of weather conditions in Osh, the plane departed from Manas International Airport to Osh at 7.00 am local time. 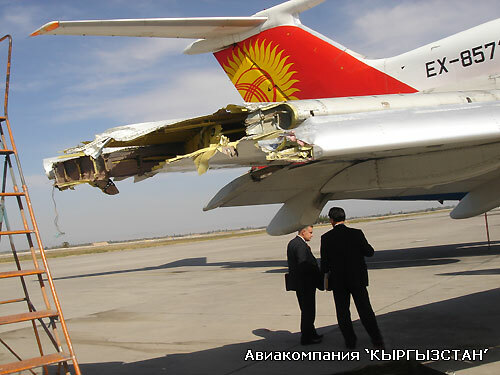 At 7.50 am the plane made emergency landing in Osh Airport. 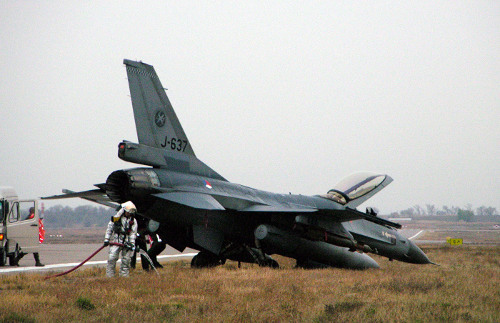 The landing gear was damaged as a result of heavy touchdown, the plane moved off the runway to the ground. 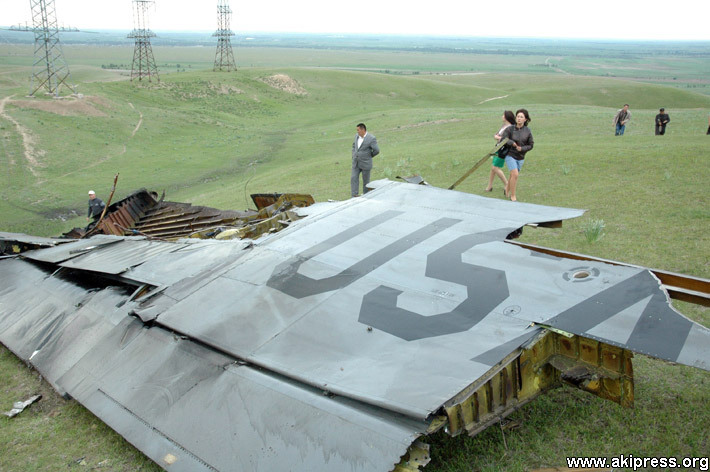 The wing of the plane was torn off 1.5 meters from the central body. 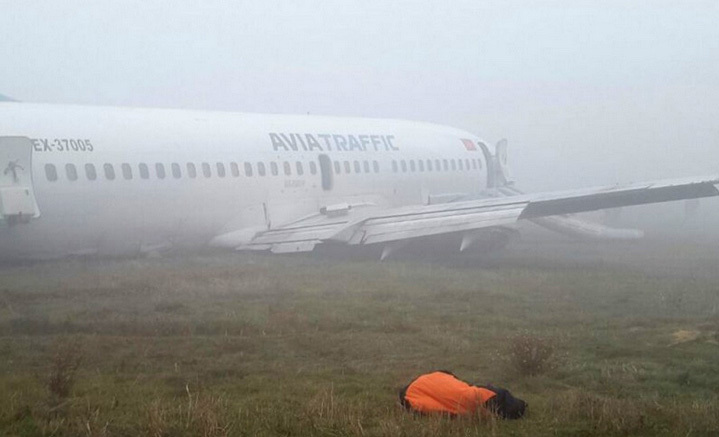 All 159 people (passengers and crew members) on board survived the crash landing. The Mi-8 helicopter of the Ministry of Defense of Kyrgyzstan crashed while trying to evacuate the injured mountaineer from Russia. The helicopter crashed on the north-western slope of the Khan-Tengri peak at 5,200 m above sea level. No casualties were reported. 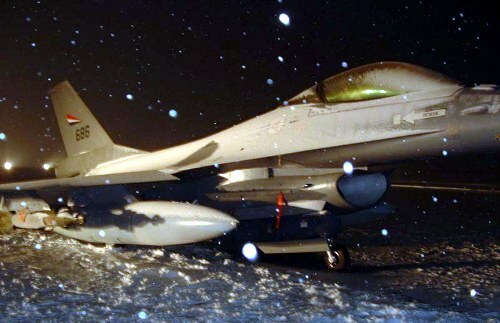 The Defense Ministry explained the crash with "strong turbulence." The crew of the An-2 agricultural plane of the Valor Air was dustring crops in Aksy district. During aerial application of pesticides on the hill slope at around 15 m from the ground, the plane touched the overhead power transmission line. The plane crashed on the ground and burst into flames. Two crew members and one passenger died. 3 May 2013. Chaldovar village. 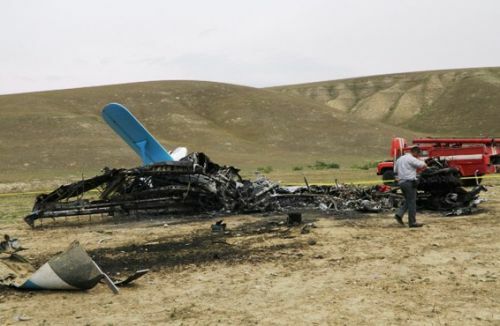 The plane was turning to the south near Chaldovar village after the take off at Manas International Airport (the route of American planes from the Transit Center at Manas to Afghanistan), however, it began losing speed and height, then the plane exploded in the air. 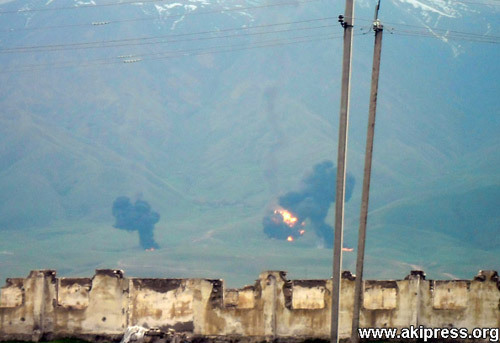 The plane was divided into 3 big fragments, which several seconds after explosion fell in the radius of 1 km near Chon-Aryk village. 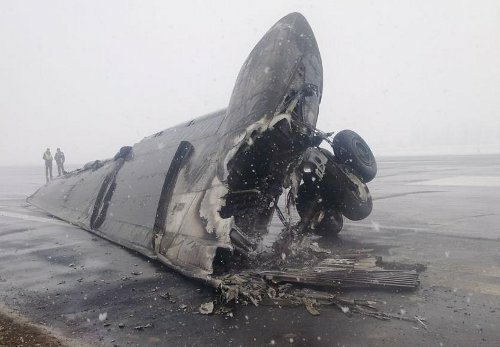 The Тu-134 plane crashed trying to land at the airport during bad weather conditions. The heavy touchdown led to break off of the right wing and chassis. The plane moved off the runway to the ground and flipped over. Then the plane burst into blames. 82 passengers (69 adults, 4 young children, 9 infants) and 6 crew members left the plane and remained alive. 26 people sought medical assistance. 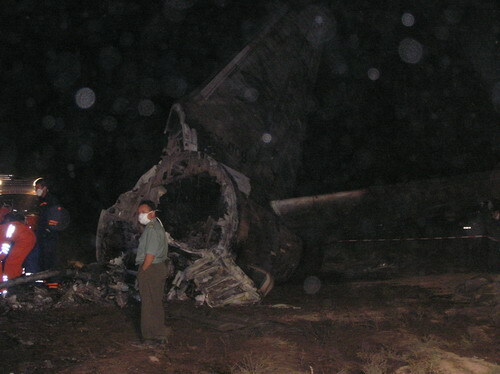 The plane burnt to the ground. 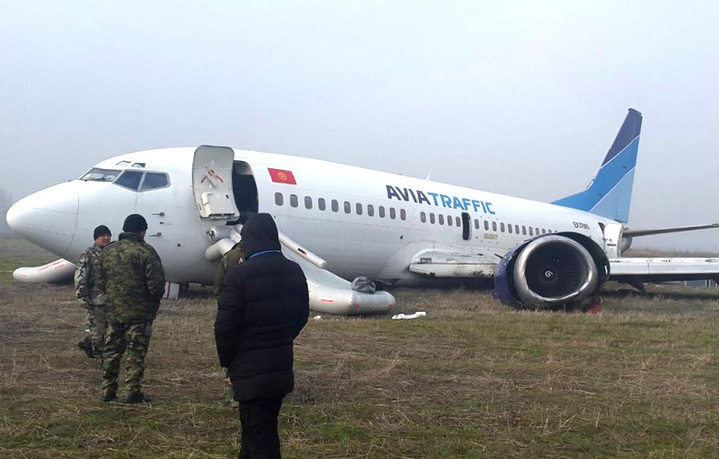 The Boeing-737-200 of the Itek-Air en route from Bishkek to Tehran crashed while attempting to make emergency landing, 9 km away from the runway. The plane burnt to the ground. 65 people died. 25 survived the crash. 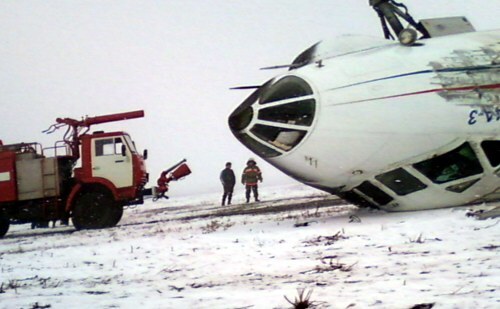 Yak-40 plane made emergency landing on the ground. 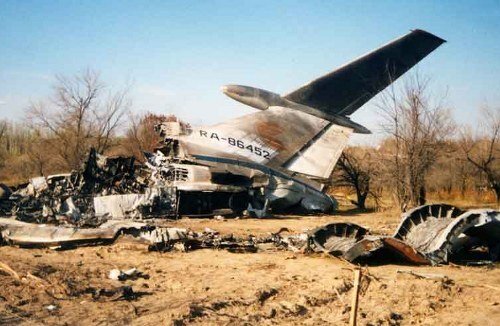 The Yak-40 plane was carrying a group of managers of air companies of the country while two engines failed. 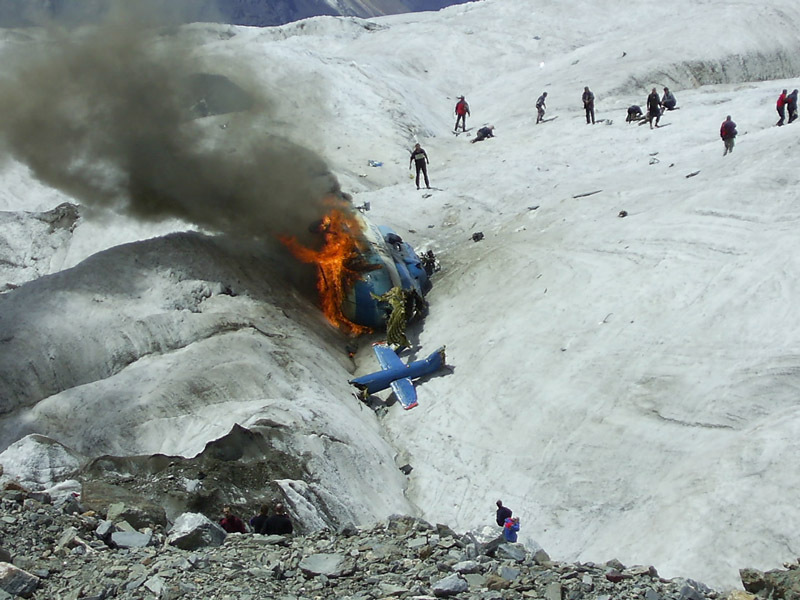 The pilots decided to land the plane on the runway in the Kara-Kuzhur Gorge, which was used by agricultural planes. However, the landing gear failed and the plane made a belly-landing and then caught fire. 9 VIP passengers and 5 crew members survived the crash. The plane burnt down, it was used by the head of the country for domestic flights. 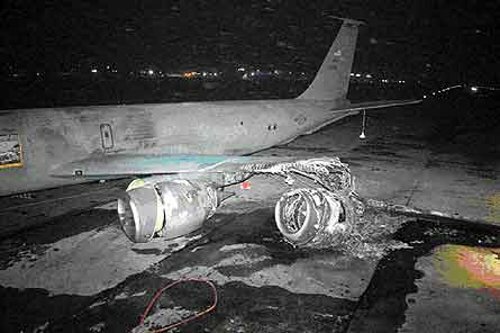 The Tu-154 plane of Kyrgyzstan air company en route Bishkek-Osh-Moscow began to run before take off and touched with its right wing the KC-135 Stratotanker, which just landed and was still remaining on the runway. 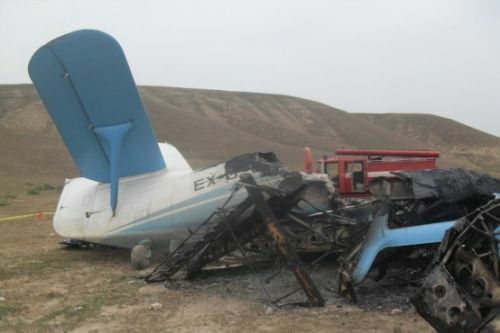 52 passengers and crew members of both planes remained alive. 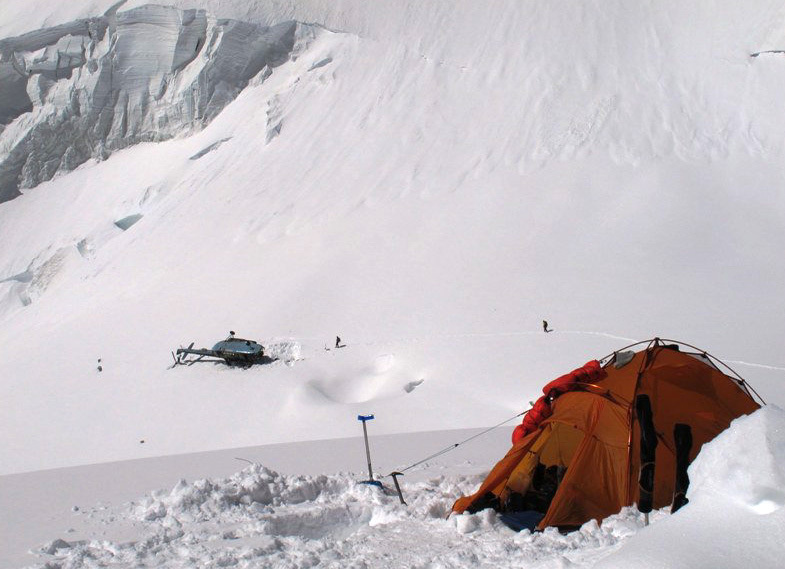 The helicopter arrived at the climbing camp at the bottom of the Pobeda and Khan-Tengri peaks to take a group of tourists. 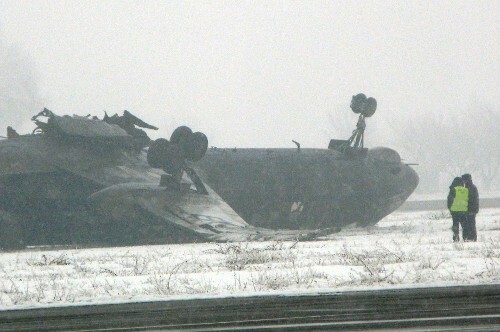 During take off the helicopter failed to reach a necessary height and fell down. 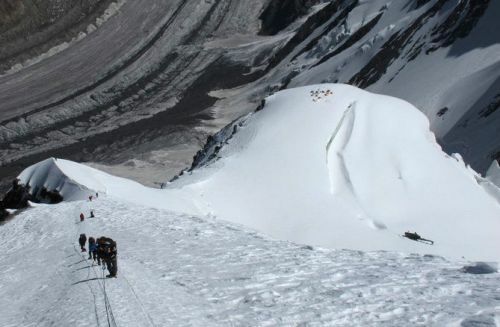 17 tourists and 4 crew members managed to leave the board and remained alive. The helicopter burnt down. The landing gear of the plane failed after emergency landing, the plane moved off the runway and hit the ground with its nose. The pilot was not injured. 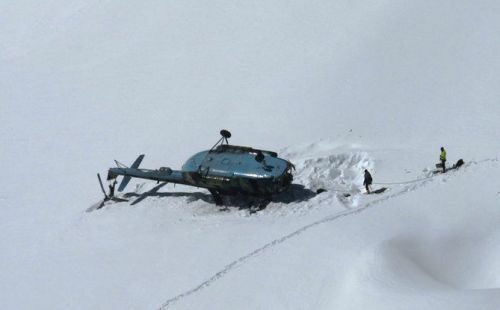 The helicopter of the Ministry of Emergency Situations was on evacuation task in the Muztor Valley for snow trapped hunters. The helicopter took around 20 people on board, including 3 American and Canadian citizens. The helicopter took off, but then fell down. Two people died. The helicopter burnt down. 17 December 2002. Manas International Airport. The fighter plane made a crash landing, the back landing gear fell off, the plane was pulled several dozens meters on its belly. A pilot was not injured. The Il-62 cargo plane of the Tretyakovo Air Company en route from Moscow to Bishkek moved off the runway and crashed into the fencing. The plane then caught fire. 8 crew members survived the crash. The plane burnt partially. 15 March 2000. At-Bashi district, Naryn region. The Mi-8 helicopter crashed into the mountain. The helicopter was taking a group of people after hunting. During the flight the helicopter tail touched the mountain due to bad weather conditions. 3 people died, including MP Erkinbek Matyev, 4 other were injured. The helicopter burnt down.